Calling all artists of color! A 3-week summer training program (3 hours/day, 5 days/week) will introduce Yorchha™, our Contemporary Indian Dance aesthetic, in technique classes that build in complexity over 3 weeks and include learning a short piece from our repertoire. This summer dance intensive is part of our ongoing commitment to train next generation artists for professional engagement in dance. This intensive embodies and enunciates our core principles: that moving and negotiating space with strangers, and connecting ourselves to our bodies and life stories through metaphoric movement, allows us to access experiences and power that have yet to be articulated. Yorchha™ brings together movement principles from Odissi, the Classical Indian Dance technique, Chhau, the East Indian martial art, and Vinyasa Yoga. Our artists will lead participants through a rigorous technique class (11am-12:30pm), share the company’s choreographic process that intersects dance with social justice goals, and teach sections from ADT’s repertory (12:40pm-2pm). There will be an informal showing on Friday, June 29, 2pm. Ananya Dance Theatre is a Contemporary Indian Dance company comprised primarily of women artists of color who, as cultural activists, engage audiences, build community, and move toward justice and beauty. We intersect contemporary dance with a philosophy of social justice to create original dance theater that inspires audiences through visual and emotional engagement. To apply for the Summer Dance Intensive with Ananya Dance Theatre, please answer the questions at this Application Link. All information will be kept confidential. The deadline for submitting applications is May 25, 2018. We are accepting applications on a rolling basis. We will respond to all applications within 10 days, or less, with our decision. Applications are processed on a first-come, first-served basis, so we will close the application process once we reach our cap of 40 participants. We will respond to all scholarship applications by May 30, 2018. The amount of scholarship support will depend upon number of applicants and expressed need. Yorchha™ is a bare feet dance technique. Participants should wear comfortable clothing that allows for easy movement. Please leave all jewelry, other than small rings, at home. Hair should be secured away from the face. The fee for this intensive is $500. A $50.00, non-refundable deposit is required from all accepted participants by Friday, June 1, 2018. The deposit will be deducted from the total tuition due. Please mail check or money order, payable to Ananya Dance Theatre, to P. O. Box 2427, Minneapolis MN 55402-0427. All tuition balances are due no later than the first class session, Monday, June 11, 2018. These payments may be mailed to P. O. Box 2427, Minneapolis MN 55402-0427, or paid in-person on the first day of class. Once paid, tuition will not be refunded or pro-rated. 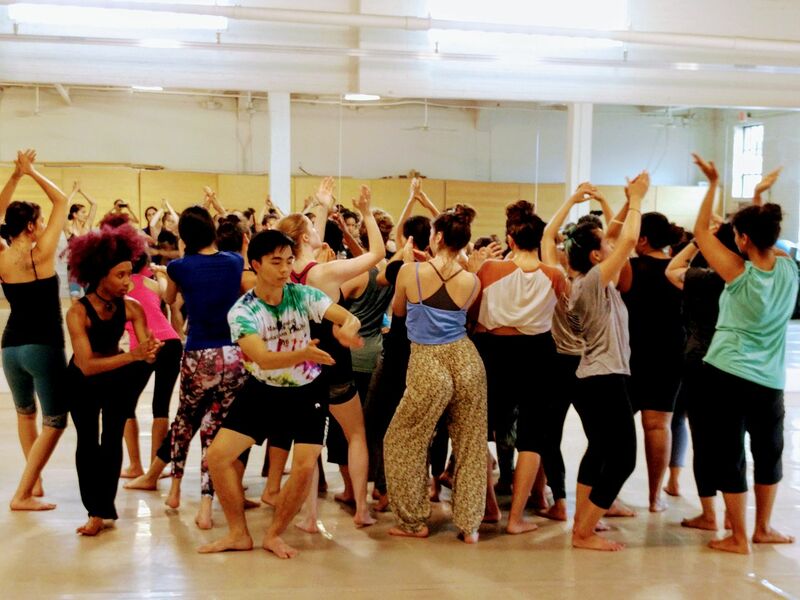 The Buniyaad Summer Dance Intensive is part of Ananya Dance Theatre’s Buniyaad/Foundation Project, supported by The Saint Paul Foundation, Mardag Foundation, F. R. Bigelow Foundation, and Engaging Dance Audiences: A program of Dance/USA.